Bigg Boss Season 5: One among Mahek Chahal, Shonali Nagrani, Laxmi Narayan are set to get wild card entry this week. According to latest reports one out of three selected contestants, enter the House of Scandal as a Wild Card Entry this week. It is said that the names of the contestants would be announced on the show, and one amongst the three will go in, depending on whom the public votes the most. The speculated names include Mahek Chahal, Shonali Nagrani and Laxmi Narayan Tripathi, though a source also informs that Shonali might opt out. Bigg Boss Season 5: In the latest eviction episode of BB5 Shonali Nagarani was evicted from the house. That was not at all surprising but the actual surprise was when Salman Khan entered the house for a while to fill some common sense and decency in the brains of the remaining contestants. He tried not to be rude to the overly rude contestants. He is very upset about Sky walking away while Mr. Sanjay Dutt is talking to him. He did that not once but twice. As the episode starts Salman went to enter the house and Sanjay enter the house through the V-TV. Sky apologized for his behavior previous week but Mr. Dutt remained silent with some hand gesture which really not very positively meant that he forgave him. Then Sanjay asked Juhi that who are the 2 strongest male contestants in the house. She named Andrew Simmonds and Sky are the strongest and Sanjay arranged an arm wrestling game between those two in which andrew won the game. 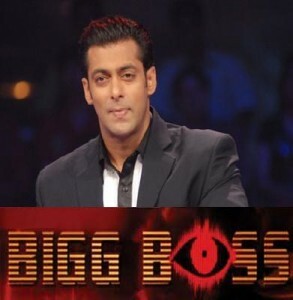 Who will be Bigg Boss season 5 winner?? The BB house may be the most infamous house in India with its contestants and their dirty pasts, but this house is the most popular house too. 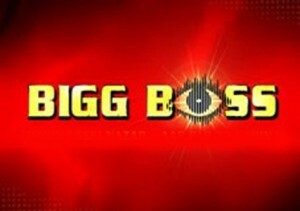 Bigg Boss is the reality show with controversial contests trying to co-existing in a house detached from any type of communication from outside world. The show’s fifth season is on the run currently and is only 3 weeks far from its finale. It need no introduction for the dedicated viewers. Some call this show a lunatic attempt to exploit human emotions but i think otherwise. I like to watch this show and analyze the human behavior under a restricted environment. Its like an experiment on human behavior and viewers response to the events is kind of amazing. In my opinion none of the contestants are totally genuine or totally fake. But one thing I observed is… no one will be able to pretend for a long time. We will definitely see their true nature. I don’t want to be judgmental about anyone but want to give my opinion on contestants. I know none of the contestant personally and all I know about them is from media only. Big Boss Season 4: Who is the Winner? Shweta, Dolly or Ashmit? The Big Boss season 4 is one of the most impressive reality shows of the year 2010. Big boss season 4 kicked off this year with a group of celebrities having controversial pasts. Hollywood’s sizzling actress Pamela Anderson also joined the show for 3 days. Wrestler The Great Khali, Pakistani controversial actress Veena Malik also participated in the fourth edition of the show. Salman Khan hosted the 4th edition of the popular show on colors. Big Boss Season 4: Seema Parihaar is evicted from house as Sameer Soni managed to bag more votes than her. The Great Khali used his power as captain to nominate sameer and Seema. News is that Seema is one who packed her bags this week as Sameer is safe because of his loyal fans. Seema Parihar was a bandit in the valleys of Chambal but indeed came a long way in the Bigg Boss House. She lasted many weeks, more than what was expected of her. Not many people know Seema Parihar, and without any celebrity backing, popularity and even sans the glam factor, Seema impressed one and all with poise and ability to adapt. However, it’s going to be time for her to say goodbye to her fellow inmates, today! Any she will meet Salman Khan to compensate.